Now is the time to upgrade to Microsoft Dynamics NAV 2018 – why and how? » Managerial » Now is the time to upgrade to Microsoft Dynamics NAV 2018 – why and how? Microsoft has announced that Dynamics 365 Business Central will be released on April 2, 2018. Now we can see details of the functionalities of Dynamics 365 Business Central. Commentators believe that Dynamics 365 Business Central is of strategic importance to Microsoft because it will provide small and medium businesses (SMBs) with a fully functional ERP application in the cloud. And, it will integrate with other Microsoft business applications to provide users with a consistent look and feel across their workspace. While cloud-based solutions like Dynamics 365 Business Central look set is the future path of Dynamics NAV evolution, there is no suggestion that Microsoft is abandoning on-premise deployments. The announcement of Dynamics 365 Business Central follows closely on the release of Dynamics NAV 2018, with a further release of Dynamics NAV 2018 Updates planned for this year and according to recently announced roadmap transition to Dynamics 365 Business Central on-premise edition this autumn. While this release program makes new software available, existing Dynamics NAV software applications will have to be rewritten as Dynamics NAV Extensions to work with Dynamics 365 Business Central. So, the question coming from the Dynamics NAV community is – should we migrate to Dynamics NAV 2018 now, wait for the Dynamics NAV 2018 updates, or start recoding into NAV Extensions in preparation for future migration to Dynamics 365 Business Central? In this article, we explain the benefits of migrating to Dynamics NAV 2018 and the steps you need to take for a successful upgrade. Dynamics NAV 2018 provides the latest ERP functionality and offers many advanced features not available in earlier versions. We believe that the earlier users migrate, the more benefits they will gain. Despite Microsoft’s cloud priorities, this new version remains faithful to traditional Dynamics NAV functionality. And, the good news is that Microsoft will support Dynamics NAV 2018 until at least January 2023. As an added bonus, upgrading to Dynamics NAV 2018 ensures a seamless transition to Dynamics 365 Business Central (on premises/hosted edition) or cloud version. Greater integration with business applications – Dynamics NAV 2018 can be integrated with Office 365 and other business applications. This will provide users with a comprehensive set of business tools with the familiar Office interface. For SMBs, this represents a complete business solution. Improved customization – Dynamics NAV 2018 provides improved capability to support Extensions. This makes it easier to customize the application because all customizations are going to become Dynamics NAV Extensions. Automation and Artificial Intelligence – Dynamics NAV 2018 incorporates Artificial Intelligence and advanced algorithms to support cognitive services and high levels of automation. Interaction with Microsoft Flow – Dynamics NAV 2018 interacts with Microsoft Flow. This enables users to create and automate workflows across multiple applications and services, improving productivity and efficiency. Workspace personalization – Users can customize their Dynamics NAV 2018 workspace to match their job function and personal preferences. This can improve productivity and user experience. Data sharing with CRM systems – Users can share data seamlessly between Dynamics NAV 2018 and their CRM (customer relationship management) system. This ensures customer information is consistent across both systems. REST API extended – Dynamics NAV 2018 has simplified integration of third-party applications and services with a new feature for REST API. The interface provides access to 44 business entities covering core sales and financial information. Report preview – To speed up reporting, users can now generate and preview content directly in Dynamics NAV 2018. Improved check printing – Modification of the printing format in Dynamics NAV 2018 allows users to print three checks per page. Pre-configured Excel reports – Dynamics NAV 2018 incorporates a new option in the Business Manager and Accountant Role Centers – preconfigured Excel reports. Users can easily open and review financial statements created in Excel. Larger EC Sales Lists reports – Users can now submit longer EC Sales List reports with more than 9999 lines. Since the release of Dynamics NAV 2018 on 1st December 2017, partners and customers have been contacting us to ask to how many steps they need to take to upgrade their existing Dynamics NAV versions to Dynamics NAV 2018. The latest release is currently available in the W1 version, as well as localized versions for 22 countries. Although millions of Dynamics NAV users will be considering an upgrade to the latest version, we recognize that many will opt for the 2017 release. Generally, these organizations prefer to invest in the latest release minus one. The good news for customers who have upgraded to Dynamics NAV 2017 is that the upgrade method to the 2018 version is similar. 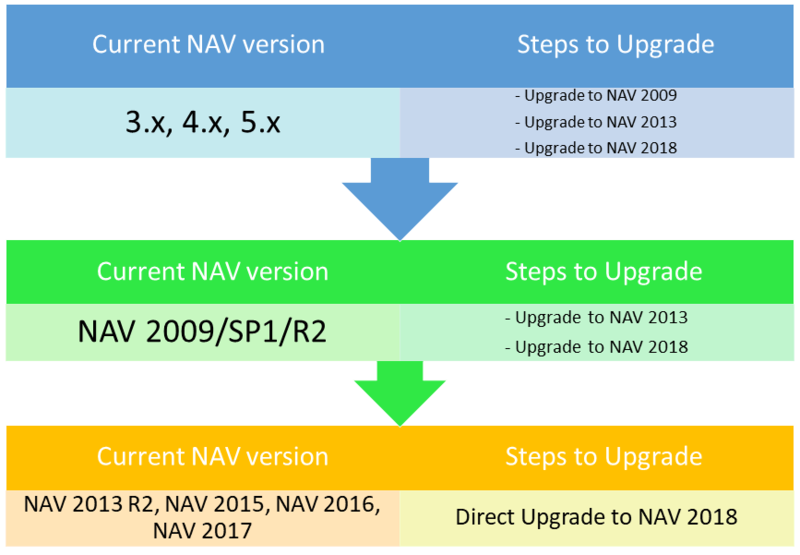 For users of earlier versions, these are the recommended steps to take for a successful upgrade to Dynamics NAV 2018. We recommend using the automated Simplanova NAV upgrade tools, which can make significant savings in upgrading NAV C/SIDE Objects and help to reduce the risk of human errors. These tools have already been used successfully for more than 5000 Dynamics NAV report and 500 Dataport upgrades. However, the tools cannot be used to upgrade versions 3.x, 4.x, 5.x and Dynamics NAV 2009 because it is necessary to perform ‘Dataport to XMLport’ and ‘Classic report to RDLC report’ transformations. Dynamics NAV 2018 includes sample scripts that can help automate the upgrade process. We need to provide the source files that the script requires. Merging is completed when the script is executed. Sample scripts are available in the ApplicationMergeUtilities folder under the WindowsPowerShellScripts folder on the Dynamics NAV 2018 product media. The sample scripts show how to create scripts to be run in the Microsoft Dynamics NAV Development Shell or the Windows PowerShell Integrated Scripting Environment (ISE). Dynamics NAV 2018 also includes sample scripts for data upgrades. The sample scripts are located in the upgrade folder under the WindowsPowerShellScripts folder on the Dynamics NAV 2018 product media. In the sample script, we need to include the database, license folder, upgraded NAV 2018 application objects and the upgrade toolkit objects. The process for upgrading any add-on solutions used in older versions remains the same as the process for any earlier version upgrades. 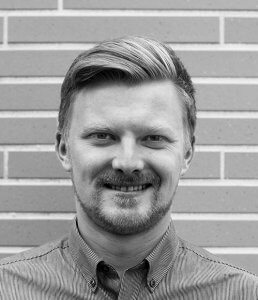 Domas Kudzevičius, an experienced and certified Dynamics NAV project manager at Simplanova, explains the upgrade process. “Over the years we have completed many migrations and upgrades to various ‘latest’ versions. To be honest, standard upgrade process over the last few years has not changed much. As an example, since Dynamics NAV 2013, we still have a single data migration step to move data across to the latest version, including Dynamics NAV 2013R2, 2015, 2016, 2017 and 2018. So, if you are upgrading from an older version, then apart from a slightly longer customization merge process, the remaining processes will not be very different. Either you will upgrade to Dynamics NAV 2016 or Dynamics NAV 2018. Naturally, customizations still have to be merged. Forms and reports need to be transformed — but only in instances where the upgrade is performed from a classic client version — and data migration has to be performed. The release programs for Microsoft Dynamics NAV (in the near future Dynamics 365 Business Central on-premise version) and Dynamics 365 Business Central (cloud) promise many exciting new developments that will help enterprise and SMB users improve productivity and efficiency. While many Dynamics NAV users still remain on older NAV versions, we believe that customers who upgrade to the 2018 version will enjoy greater benefit from the many new features released in December 2017. The upgrade path to Dynamics NAV 2018 for customers with older and recent versions of Dynamics NAV is relatively straightforward, but may involve a number of steps. Using sample scripts provided with Dynamics NAV 2018 and tools like Simplanova’s NAV upgrade automation tools can cut the time required for the upgrade and reduce the risk of error. So, our message is – don‘t wait, upgrade now! If you would like to find out more about Dynamics NAV 2018 or the NAV upgrade process, please contact us by filling the Form below.